Lablab purpureus subsp. bengalensis is found in most tropical areas of Africa, Asia and the Americas, and has distinctive tender fruits up to 15 cm × 2.5 cm. Lablab purpureus subsp. purpureus is grown in Asia as a field crop for seeds and fodder. It is a semi-erect bushy perennial usually grown as an annual, showing little or no tendency to climb; the fruits are relatively short, up to 10 cm × 4 cm, and the whole plant is tinged with purple. It has a peculiarly strong and unpleasant smell. Lablab purpureus subsp. uncinatus, of East African origin, has relatively small fruits, 4 cm long × 1.5 cm broad (Adebisi et al., 2004). Lablab is a multipurpose legume. Its immature seeds and pods, and young leaves are edible and cooked as vegetables. Mature dry beans are edible but they require prolonged cooking with several changes of water (Cook et al., 2005; Adebisi et al., 2004). Though valuable as a garden crop, lablab beans have a low market value and the seeds of other legumes, such as common bean (Phaseolus vulgaris), cowpea (Vigna unguiculata) or Lima bean (Phaseolus lunatus), are much more appreciated as food crops. When used for fodder, lablab can be grazed or harvested for cut-and-carry systems, hay and silage. It can be grown with other crops such as maize to make mixed fodder. An N-fixing legume, lablab is a valuable green manure (Cook et al., 2005; Adebisi et al., 2004). Lablab is used in ethnoveterinary medicine, examples from Kenya being to treat eye problems in sheep and lung problems in sheep, cattle and goats (Adebisi et al., 2004). The origin of lablab is debated and it may have originated either from South or South-East Asia, or from Africa. It was probably dispersed by humans as early as 800 BCE and is now widespread throughout the tropics. Lablab is cultivated as an annual or a short-lived perennial in South and Central America, East and West Indies, China, South and South-East Asia and Australia. In Australia, lablab became famous as a forage species with the release of the Rongai cultivar in 1962 (Murphy et al., 1999). In the wild, lablab is found in grassland, bushland and gallery forests. As a cultivated crop, lablab has many favourable traits such as its ability to grow in a diverse range of environmental conditions. Lablab is a summer growing legume that remains green during the dry season when other fodder is scarce and dry (Murphy et al., 1999). Wild lablab types are found from sea level up to an altitude of 2000-2400 m. However, when cultivated, lablab prefers lower altitudes. Lablab grows where daily temperatures are in the range of 18-35°C, and where annual rainfall is between 650 mm and 2500-3000 mm. Lablab withstands high temperatures (Cook et al., 2005). 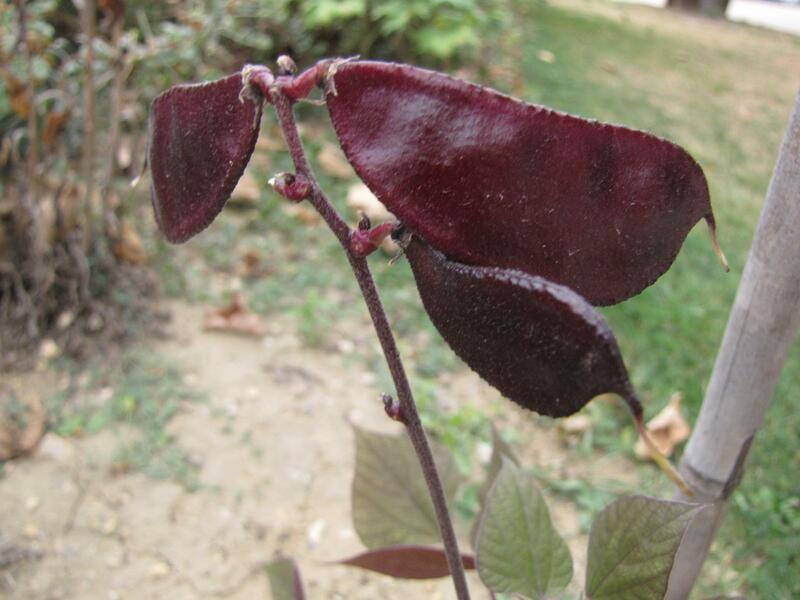 It is more tolerant of low temperatures than velvet bean (Mucuna pruriens) or cowpea (Vigna unguiculata). For example it tolerates temperatures down to 3°C for short periods and can survive light frost (Adebisi et al., 2004). Thanks to its taproot, lablab can extract water from 2 m below the soil surface, which makes it drought hardy and allows it to grow during the dry periods of the year. Lablab tolerates some flooding but does not withstand poor drainage or prolonged waterlogging. Lablab thrives in a wide range of soils, from poor sandy soils to heavy clays, when drainage is good, pH is between 4.5 and 7.5, and there is no salinity. Lablab does better in full sunlight (Cook et al., 2005). Lablab is a fast growing legume that can provide fodder less than 3 months after sowing (ILRI, 2013). It is suitable in intercropping systems where it is grown with maize, pearl millet and sorghum (Cook et al., 2005). Lablab requires a well prepared seedbed where it can be drilled at 3-10 cm depth or broadcast. When it is intercropped, the seeds should be sown in well-spaced rows between maize or sorghum, and it should be sown at the same time or when maize is already 15 cm high. Lablab increased the yield of intercropped maize even when the upper part of the lablab plant was cut for livestock feeding (Nyambati et al., 2009). 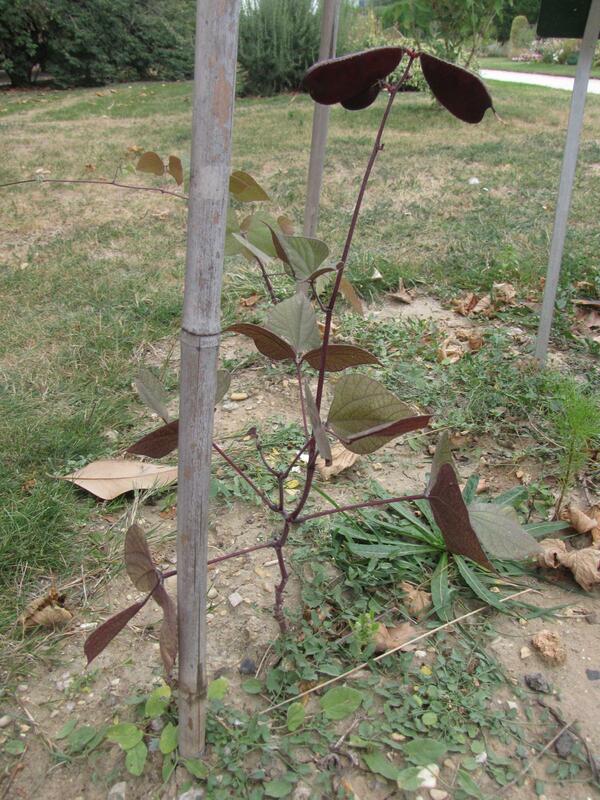 Lablab outcompetes other legume forages such as velvet bean or cowpea in dry conditions (Cook et al., 2005). Lablab grown for forage yields about 6 t DM/ha, but yields up to 9 t DM/ha have been reported from Zimbabwe (Adebisi et al., 2004). In a series of 11 trials in Tennessee (USA), lablab cv. Tift yielded 2-5 t DM/ha per year (Fribourg et al., 1984). When lablab is cultivated alone for fodder the crop is harvested at the flowering stage or at the early green fruit stage (Adebisi et al., 2004). In Nigeria, lablab reaches its full potential for herbage yield and quality in the late dry season (January) when other fodder is scarce (Amole et al., 2013b). Lablab grown for seeds yields 2500-5000 kg/ha of green pods/ha, 450 kg/ha of dry seeds when grown as an intercrop and up to 1500 kg/ha of dry seeds in sole cropping (Adebisi et al., 2004).The harvest of immature pods is done by hand-picking every 3 or 4 days. The harvest of mature seeds starts 12-15 weeks after sowing in early cultivars, and continues until after 45 weeks in late cultivars (Adebisi et al., 2004). The association of lablab with cereal forages such as maize and sorghum has been beneficial in several trials. In the USA, compared to other forage legumes such as velvet bean (Mucuna pruriens) and scarlet runner bean (Phaseolus coccineus), lablab (82,000 plants/ha) grown with maize (55,000 plants/ha) had the greatest potential to increase protein concentration (6.9% DM compared to 6.1% in a maize monoculture) (Armstrong et al., 2008). Compared to maize silage, maize/lablab silage has a higher crude protein content, a slightly higher NDF, and the inclusion of lablab had positive effect on silage fermentation (Contreras-Govea et al., 2009a). In the Southern USA, lablab-sorghum mixtures contained more protein than sorghum monocultures with no consistent effect on NDF, this association being proposed as an alternative high-quality forage crop (Contreras-Govea et al., 2009b). In Indonesia, yields of forage sorghum and forage sorghum intercropped with lablab were similar (Juntanam et al., 2013). Sowing lablab with low quality roughages increased forage yield and overall chemical composition. In Nigeria, a mixed crop of Panicum maximum and lablab gave a higher forage yield and better chemical composition. The crop was ready for grazing or harvesting 12 weeks after planting. Conserved as silage it could be fed to ruminant animals during the dry season when feed availability and quality were low (Ojo et al., 2013). Lablab does not withstand heavy grazing. The crop should be first grazed about 10 weeks after sowing, with care taken to ensure that the stems are not eaten with the leaves. Stems removal or cutting below 25 cm hampers leaf re-growth and forage yield. Under optimal grazing, a lablab stand can provide 3 grazings per season. Hungry animals should not enter the crop as it may cause bloat if eaten in large amounts (FAO, 2014). In Australia, lablab is particularly valuable during late summer and autumn, as it produces more DM than cowpea because of its higher growth rates, superior tolerance to trampling and better survival and recovery after grazing (Mullen, 1999). Leaf proportion was high in ungrazed swards and in regrowth when cutting height was more than 10 cm. 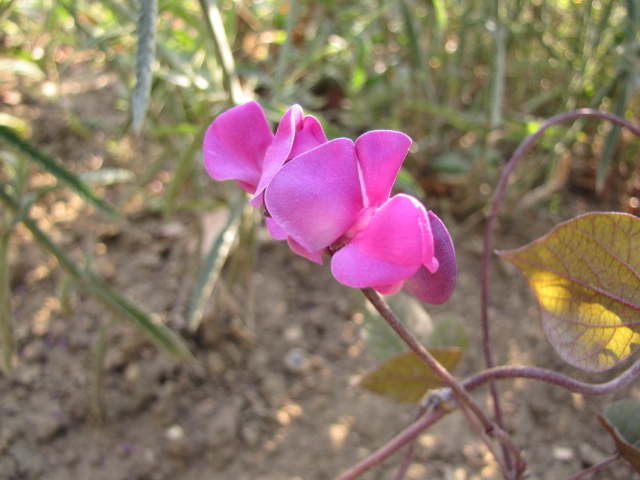 It was concluded that Lablab purpureus could be a valuable source of forage for growing cattle during hot and dry periods (Fribourg et al., 1984 ). In Cuba, well-managed lablab could be grazed 4 times in the dry season by dairy cattle (Milera et al., 1989). Lablab makes excellent hay, similar to alfalfa hay in quality, if the leaf is adequately preserved (FAO, 2014; Mullen, 1999). However, because the stem is coarse and fibrous, it may be difficult to dry, and it has to be mechanically conditioned to hasten curing (FAO, 2014; Mullen, 1999). Also, unlike alfalfa, lablab does not re-grow after cutting if it is cut below a height of 15 cm (Mullen, 1999). Lablab can produce good quality silage, alone or mixed with forage sorghum or millet (FAO, 2014; Mullen, 1999). When lablab is ensiled alone, it is recommended to cut and wilt the lablab to 30 to 35% DM over 18 to 24 hours before ensiling. This increases the concentration of soluble sugars and thus facilitate fermentation. Mixing with cereal crops (maize or sorghum) favours fermentation. The addition of molasses is not necessary (FAO, 2014; Mullen, 1999). Lablab is an N-fixing legume that can be incorporated into cereal cropping systems. It can effectively prevent soil fertility decline by N fixation (20 to 140 kg residual N/ha into the soil) and break weed and diseases cycles. Fixed N is then available for the next crop in the rotation (Mullen, 1999). The lablab canopy prevents soil dehydration from sun and wind while the lower leaves are shed and provide mulch to the soil (Mullen, 1999). Lablab is a good pioneer crop to prepare land, previously infested with Axonopus and Cynodon grasses, for sowing grass/legume mixtures (FAO, 2014). Lablab forage has an average protein content of about 18% DM, which varies from 13 to 24% depending on local conditions and stage of harvest (Mudunuru et al., 2008; Linga et al., 2003). Fresh forage and hay can have a similar nutritive value (Linga et al., 2003), a situation which favours harvesting at the optimum stage with appropriate methods of conservation and storage. The green forage remaining after seed harvest can be sun-dried but its protein content is lower (13-14% DM) (Iyeghe-Erakpotobor et al., 2007). Lablab beans contain about 26% of the DM as protein, but it varies widely either within cultivars or between varieties (23 to 28%). The lysine content of lablab beans is rather high (6.3% protein) and similar to that of soybean, but the methionine and cystine content is lower. The starch content of lablab seeds is relatively high (45%) while the fibre content is rather low (crude fibre less than 10% DM). Lablab has been occasionally reported to cause bloat in cattle when fed green as the sole feed (ILRI, 2013; Hamilton et al., 1968), but reports have been infrequent and the risk of bloat is considered to be low (Mullen, 1999). Lablab seeds contain antinutritional factors including tannins, phytate and trypsin inhibitors. Processing methods, such as removing the seed coat, soaking and cooking, are effective in alleviating the effects of these factors (Lambourne et al., 1985; Deka et al., 1990). Lablab leaves are free of tannins, making them a good feed for monogastric animals (Schaaffhausen, 1963 cited by Murphy et al., 1999). Lablab forage is a valuable source of protein for ruminants fed on low quality roughages. Lablab forage is a good source of metabolizable protein for ruminants. However, its protein is highly degradable in the rumen, resulting in a fairly low contribution to by-pass protein. The overall digestibility and energy values of lablab are good. In a comparison of tropical forages, lablab forage was found to have a lower protein degradability than rye-grass, but higher than the legume forage butterfly pea (Clitoria ternatea) and tropical C4 grasses (Bowen et al., 2008). In another comparison, lablab was found to have a higher in vitro digestibility than the legume forages, butterfly pea (Clitoria ternatea), Centrosema pascuorum and Macroptilium bracteatum. It was concluded that lablab had potential to provide a large amount of highly digestible biomass (Hartutik et al., 2012). Its high yield and good protein content makes lablab a valuable source of forage for growing cattle during hot and dry periods (Fribourg et al., 1984). Most trials have concentrated on supplementation of forage diets with lablab. In the USA, the association of lablab with maize was shown to increase the economic value of forage compared to maize alone without compromising forage yield and milk/ha (Armstrong et al., 2008). In Cuba, lablab and soybean intercropped with maize provided the cheapest DM, could feed a greater number of animals and yielded more milk (Cino et al., 1994). In Ethiopia, optimal milk production in crossbred cows was obtained with a combination of maize and lablab hay, or oats-vetch/lablab hay, where the optimal level of lablab hay in the diet was 0.52% and 0.85% of BW, respectively. Increasing the lablab level resulted in no further improvement of animal performance, probably due to an energy deficit in the diet (Mpairwe et al., 2003a; Mpairwe et al., 2003b). In Nigeria, optimal results using maize/lablab silage for growth performance of crossbred calves were obtained with 70:30 maize:lablab (DM basis), which significantly improved animal performance during the dry season, compared to sole maize silage and natural pasture (Amole et al., 2013a). In the Southern Plains of the USA, in a comparison between lablab and cowpea used to supplement maize in dairy and beef cattle, it was concluded that lablab had greater potential than cowpea for forage production and could be an additional source of forage for dairy or beef cattle (Contreras-Govea et al., 2011). In Indonesia, forage sorghum intercropped with lablab had a better nutritive value than sorghum forage alone and resulted in higher live-weight gain, DM intake and milk yield (Juntanam et al., 2013). In Nigeria, a mixed stand of lablab and Guinea grass (Megathyrsus maximus) was grazed or harvested 12 weeks after planting. Conserved as silage, it could be fed to ruminant animals during the dry season when feed availability and quality were low (Ojo et al., 2013). In Ethiopia, teff straw was successfully supplemented with lablab hay in calf diets. Increasing the legume forage level in the diet increased the rumen degradation rate, decreased retention time in the rumen and resulted in a higher DM intake (Abule et al., 1995). In Nigeria, supplementing suckling Bunaji cows grazing natural pasture with lablab forage (2 kg/day) increased performance and farmer income (Eduvie et al., 2002). In Kenya, milk production was increased by supplementing an elephant grass (Pennisetum purpureum)-based diet with mucuna or lablab hay (Nyambati et al., 2009). In Uganda, heifers fed on low-protein elephant grass had a higher growth rate when they were supplemented with lablab (Tibayungwa et al., 2011). Lablab hay is a valuable forage for goats and sheep and can supplement forage-based diets of low quality. In Zimbabwe, lablab forage supplementation of maize stover (50:50) in the diets of pregnant and lactating goats kept in stalls resulted in higher DM, OM and N intakes, and had positive effects on productivity (kid health, kid growth after birth, milk yield and meat production) (Makembe et al., 1996). In growing goats, adding lablab hay to low-quality Rhodes grass hay (Chloris gayana) fed ad libitum with maize grain (100 g/day) increased DM intake (+ 42%), nutrient digestibility (DM, OM and NDF) and live-weight gain, which was multiplied threefold (Mupangwa et al., 2000). Compared with other forage legumes (centro, stylo and Aeschynomene histrix), the mixture of lablab with Guinea grass in diets for West African dwarf goats resulted in higher dietary ME and OM digestibility (Ajayi et al., 2008b). Lablab supplementation gave the highest N utilization and the highest weight gain (Ajayi et al., 2008a; Ajayi et al., 2008b). In Nigeria and Zimbabwe, adding lablab to maize, sorghum or millet during ensiling had positive effects on feed intake in sheep and Yankasa rams (Ngongoni et al., 2008; Amodu et al., 2008). Silages containing equal amounts of pearl millet (Panicum glaucum) and lablab, or Guinea grass and lablab, resulted in better feed intake and digestibility in sheep and goats (Amodu et al., 2008; Babayemi et al., 2006). Lablab seeds can be included in sheep and goat diets. In India, lablab beans replaced groundnut meal as a protein source in the concentrate mixture for kids with positive effect on roughage intake, nutrient utilization, rumen fermentation and body growth with better N utilization (Sultan Singh et al., 2010). 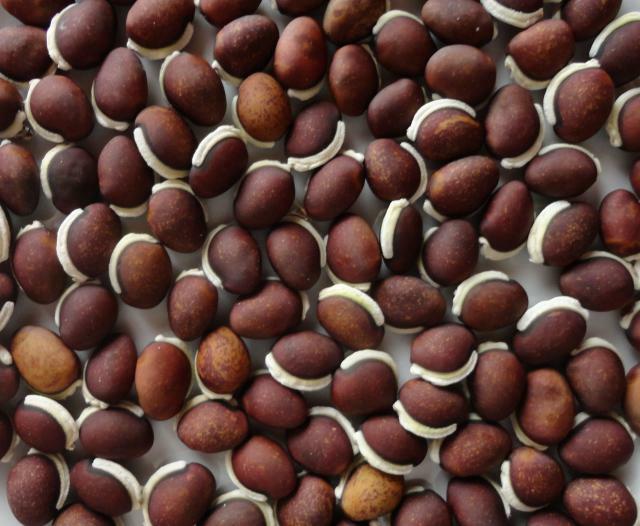 Comparisons between lablab beans and other legume seeds or protein sources are scarce. In Australia, a comparison of mixtures of lablab beans or lupin seeds with roughage (hay + oat straw) fed to Merinos lambs resulted in comparable dietary intakes but the lablab-based diets gave lower values for digestibility, weight gain and wool growth (the latter at 60% lablab beans inclusion) (Garcia et al., 1990). Lablab beans are used in pig feeding as a source of energy and protein. Like other legume seeds, they are deficient in sulphur-containing amino acids. The amino acid digestibility is lower than for soybean meal, due to the presence of antinutritional factors such as trypsin inhibitors, phytic acid and condensed tannins (Singh et al., 2005). Thermal processing such as cooking, toasting and especially boiling, significantly improved the N digestibility in growing-finishing pigs which was 50, 65 and 74% for raw, toasted and boiled beans, respectively (Laswai et al., 1998). The calculated energy digestibility and digestible energy content of raw lablab seeds are about 75% and 14.4 MJ/kg DM for growing pigs. These energy values can be improved with heat treatments. The palatability of raw lablab seeds is low to moderate in pigs, depending on the variety (Martens et al., 2012). Pig diets can contain up to 10% of raw lablab seeds and processing (boiling, toasting, steam pelleting) could increase the maximum recommended level at up to 20-30% (Martens et al., 2012; Laswai et al., 1998). The proximate composition of lablab seeds suggests that they are potentially valuable in poultry feeding, despite the high fibre content that limits their energy value. The presence of antinutritional factors such as tannins and trypsin inhibitors limits the digestibility of protein in the absence of appropriate treatment. The use of raw lablab seeds resulted in depressed feed intake and growth performance (Rasha et al., 2007; Abeke et al., 2007a; Abeke et al., 2008c). Some health problems and mortality also occurred in these experiments. Thermal treatment helped reducing the negative impact of lablab, with a higher efficiency of boiling (optimum duration 30 min) compared to dry processing (Elamin et al., 2013). However, even with soaking and boiling, growth was lower with added lablab than with control diets (Abeke et al., 2007a; Abeke et al., 2008d; Elamin et al., 2013). The effect of lablab depended on the inclusion level. In these trials, feed intake was not much affected by lablab. Young birds seem to be much more sensitive to lablab than finishers, in which growth was only slightly reduced by 5 to 10% lablab in the diet (Abeke et al., 2008a; Abeke et al., 2008c; Abeke et al., 2008d). It can be recommended to use only processed seeds for poultry feeding, and to limit the level of lablab seeds to 5% of the diet. Higher levels could be used if the economic advantage of lablab compared to other protein sources compensates for the lower feed efficiency (Cino et al., 1999). Using thermally treated (boiled) lablab seeds in layer diets resulted in lower performance, with a direct effect of the level of inclusion (Abeke et al., 2008b; Ragab et al., 2012). Although weak, this depressive effect was registered at relatively low levels (5 to 7.5% lablab in the diet). Feed intake was little affected by moderate inclusion levels, but the reduction in laying egg numbers led to a lower feed efficiency. In pullets, growth performance was slightly depressed, as with broilers (Abeke et al., 2007a; Abeke et al., 2007b). There was no major effect of using lablab in pullets on their subsequent laying performance, except at inclusion levels higher than 30% (Abeke et al., 2007b). However the birds were lighter when entering into lay, and the age at first egg laying increased. Lablab leaf meal was tested in layers and resulted in decreased feed intake and laying performance, but feed efficiency was maintained. There was no major effect on egg quality but egg yolk colour was enhanced (Odunsi, 2003). The recommendation is to use lablab with care in layers, as performance can be decreased even at low inclusion levels. Only processed seeds should be used. It is advised not to exceed 5% lablab seeds in diets but higher levels could be tested in situations where the economic advantage of lablab is high. Lablab is a forage suitable for rabbit feeding, even when used as sole feed, but it is more valuable when included in a balanced diet. Lablab forage is considered as a potential forage for rabbit production in several African countries including Nigeria, Mozambique and Uganda (Oyawoye et al., 1990; Demeterova et al., 1991; Lukefahr, 1998). In Nigeria, it is used in smallholder rabbit farms when available at the end of the rainy season (Adeyinka et al., 2007). When lablab is grown as a forage, the best stage of harvesting for rabbit feeding is 12 weeks after germination (Bawa et al., 2013). In the case of lablab grown for its beans, the green forage remaining after the harvest can be sun-dried and fed to rabbits but its nutritive value is lower (Iyeghe-Erakpotobor et al., 2007). The amino acid profile of lablab forage provides 110 to 115% of the requirements for lysine and threonine. However, it is deficient in sulphur-containing amino acids and only meets about 50% of the requirements for methionine and cystine. This is why studies on the maximum inclusion rate of lablab in rabbit feeding that do not correct for sulphur-containing amino acid deficiency tend to reach disparate conclusions, which depend on the amino acid composition of the whole diet. For example in a study on lablab forage utilisation in gestating and primiparous lactating does, the best results were obtained with the highest inclusion rate, i.e. 87% of the daily DM intake (Iyeghe-Erakpotobor et al., 2007). In Nigeria, green lablab forage used as a sole feed resulted in growth rates similar to those obtained with Mexican sunflower (Tithonia diversifolia). Digestibilities for dry matter, crude protein and crude fibre were relatively high: 77, 69 and 65%, respectively (Omole et al., 2007). Compared to other tropical legume forages, lablab offered alone was found to be moderately palatable, but high feed intakes were obtained when it was fed in equal parts with grass forages such as elephant grass (Pennisetum purpureum) or Rhodes grass (Chloris gayana) (Iyeghe-Erakpotobor et al., 2008). While lablab beans have been tested in ruminants, pigs and poultry, no reference on their potential use in rabbit feeding has been found (March 2014). Cooked lablab bean meal replaced soybean meal in isonitrogenous diets for carp. The protein and lipid digestibilities of lablab-based diets were similar to those of soybean meal-based diets (Adeparusi et al., 2004). Abule, E. ; Umunna, N. N. ; Nsahlai, I. V. ; Osuji, P. O. ; Alemu Y., 1995. The effect of supplementing teff (Eragrostis tef) straw with graded levels of cowpea (Vigna unguiculata) and lablab (Lablab purpureus) hays on degradation, rumen particulate passage and intake by crossbred (Friesian X Boran (zebu)) calves. Livest. Prod. Sci., 44 (3): 221-228. Amodu, J. T. ; Kallah, M. S. ; Adeyinka, I. A. ; Alawa, J. P. ; Lakpini, C. A. M., 2008. The nutritive value of silages made from mixtures of pearl millet (Pennisetum americanum) and Lablab (Lablab purpureus) as feed for Yankasa rams. Asian J. Anim. Vet Adv., 3 (2): 78-84. Linga, S. S. ; Lukefahr, S. D. ; Lukefahr, M. J., 2003. Feeding of Lablab purpureus forage with molasses blocks or sugar cane stalks to rabbit fryers in subtropical south Texas. Livest. Prod. Sci., 80 (3): 201-209. Robinson, D. ; Singh, D. N., 2001. Alternative protein sources for laying hens. RIRDC publication 00/144. Rural Industries Research and Development Corporation, Kingston ACT, Australia. 85pp.